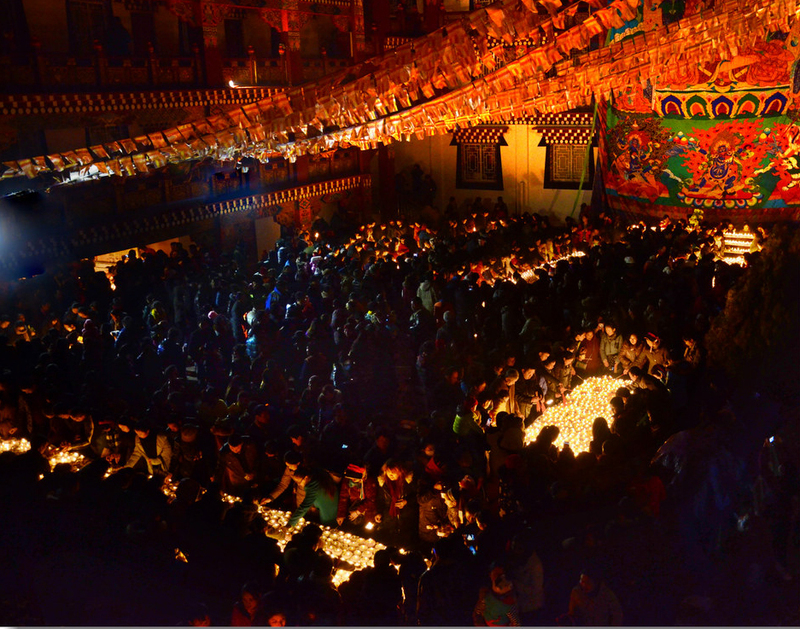 The Tsongkapa Butter Lamp Festival is an important traditional festival of the Tibetan people. 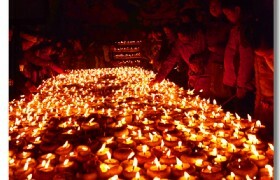 The Tsongkapa Butter Lamp Festival takes place on 25th in the tenth month of the Tibetan calendar and lasts 1-2 days. This religious festival is to commemorate the death of Tsong Khapa, the founder of Gelugpa of Tibetan Buddhism. 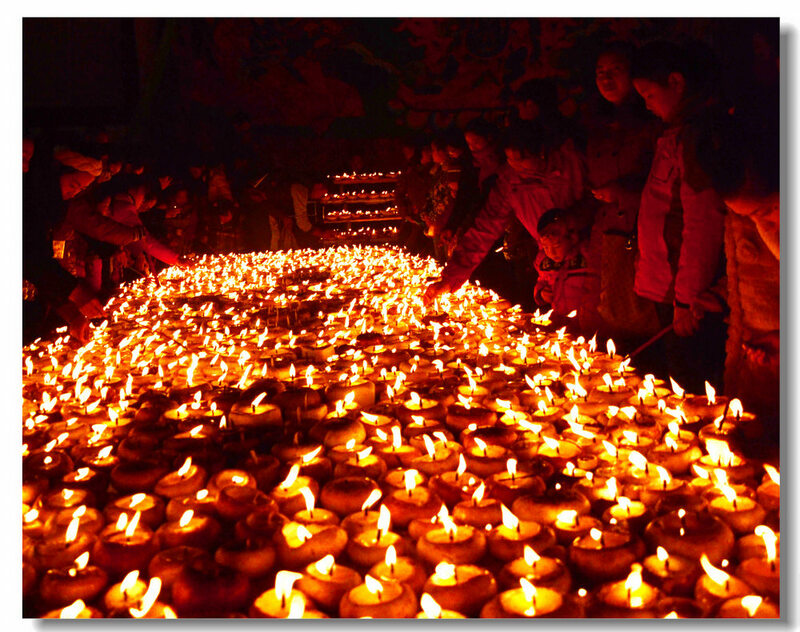 Several days before the festival, the Tibetan people will begin to make butter lamps. Lamas in the monasteries have to make at least 30 butter lamps before the festival. When night falls on the day of the festival, the roofs, balconies, and windows of homes and monasteries are lit up with butter lamps. Also they will put a bowl of pure water in the monasteries. At night from around 6:00PM to 11:00PM, thousands of religious people will gather in Barhkor Street and the square of the Johkang Temple to celebrate this grand occasion. Religious activities such as chanting sutras, circumambulating, burning aromatic branches or incenses, and prayer are held to pay respect to Tsong Khapa. 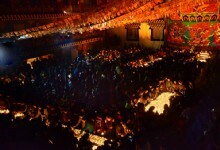 The Tsongkapa Butter Lamp Festival in Kangding is called Turnip Lamp Festival as the lamps to light in the Tsongkapa Butter Festival are made of turnips. 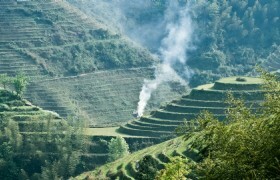 On the day, the Gelug monasteries will be decorated with butter sculptures and lit up by turnip lamps. Local Tibetan people will go to Namo Monastery to offer turnip lamps and flock to Anjue Temple to join in the grand fair and do prayers. 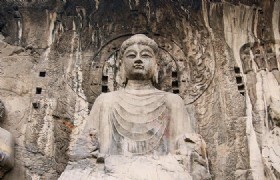 Some families and monasteries also serve five kinds of offerings such as steamed buns, candy, and fresh fruits in front of the Buddha statues. 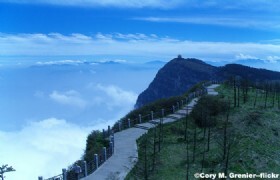 This is why the Turnip Lamp Festival is also called Five Offering Festival by local Kangding people.